Parking Garage Deck Condition Evaluation Using GPR in Portland, ME - Infrasense Inc.
Infrasense evaluated the condition of the upper parking deck of the Spring Street Garage in Portland, Maine. The evaluation utilized ground penetrating radar to quantify and map deterioration in the concrete slab, which was inaccessible for sounding due to an asphalt overlay. 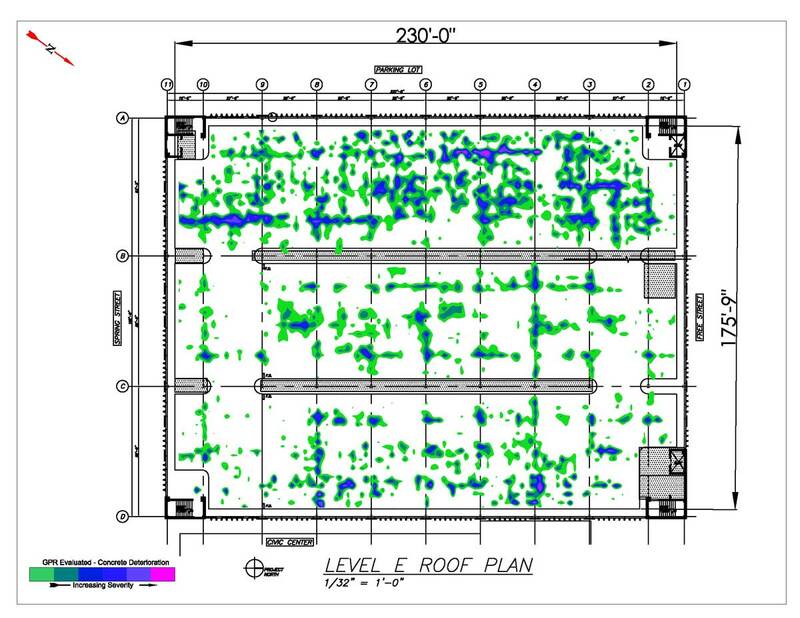 The GPR deterioration map was found to correlate reasonably well with areas of visible distress observed along the underside of the slab. The results of the GPR survey will be used to plan future rehabilitation efforts.